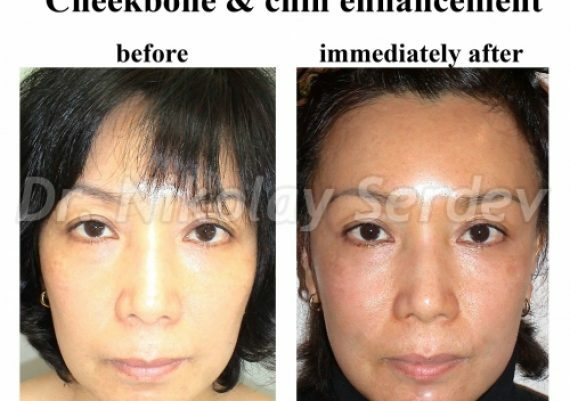 By using Serdev Suture Lifting method, we can effectively achieve a cheekbone lift and in the same time create the necessary volume, without the use of implants or transplants. 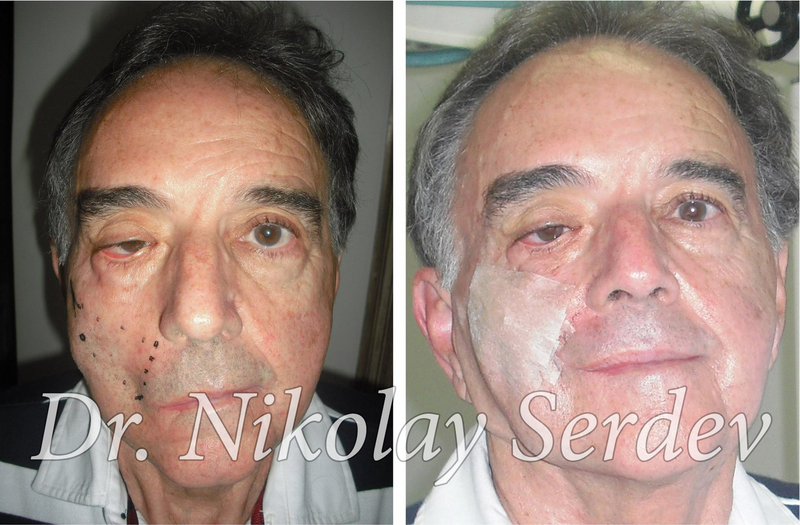 Thus, we also treat the nasolabial and tear trough folds. 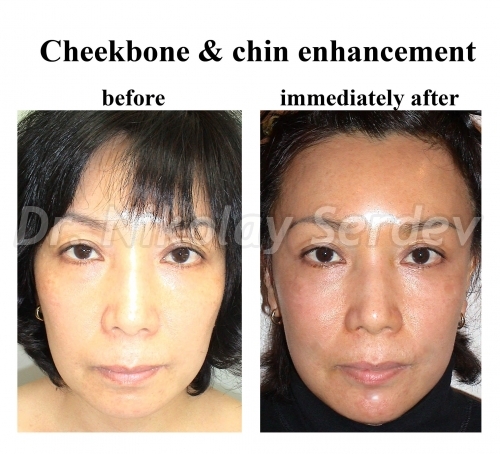 Dr. Serdev performs the cheekbone lift through skin punctures only. Therefore, there is no cutting of skin and most importantly – no scars! The punctures disappear within 1-2 days. TV stars use such rejuvenation to appear on screen next day. 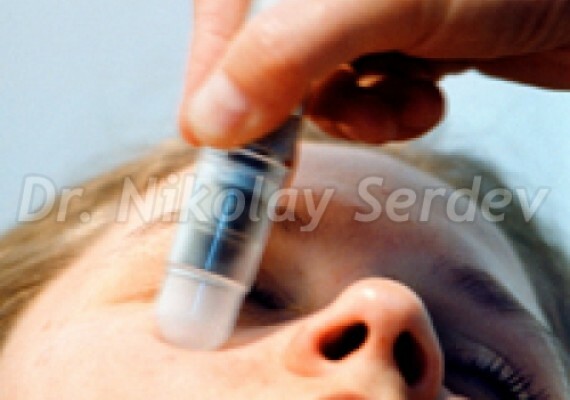 Wrongly, many physicians try to fill the nasolabial folds in order to create volume. 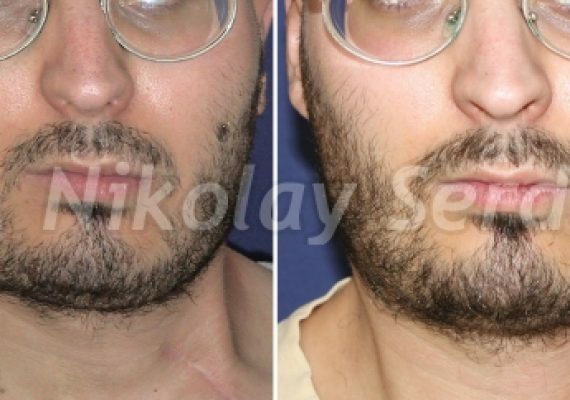 Thus, they add heaviness, which leaves the skin stretched after the fillers’ absorption. 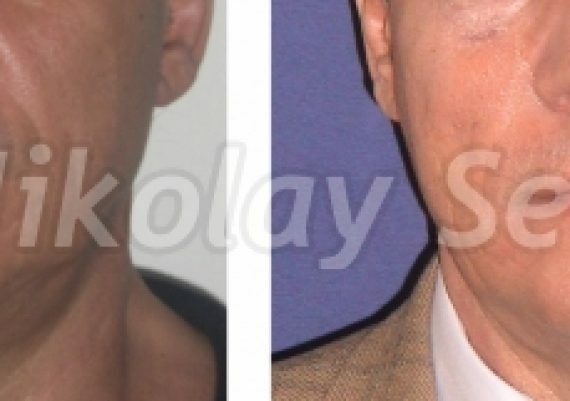 The correct approach for cheekbone enhancement is to lift the soft tissue back to its normal position at the zygomatic bone, restore cheekbone fullness, create the necessary volume – medially or laterally – and thus elevate the cheekbone. 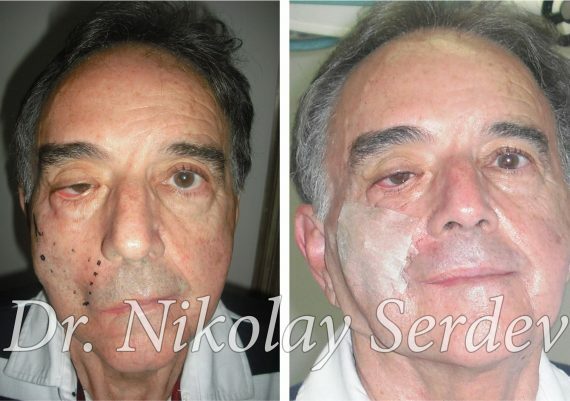 In this way, we eliminate the tear trough and nasolabial folds and improve the facial expression. Additionally, we achieve a youthful elongation of the “beauty triangle”, which is responsible for the beauty of the lower face. Cheekbones are relevant to nearly all aesthetic norms. Unfortunately, pronounced, high, and youthful cheekbones are rare. The chin and cheekbones create the so called “beauty triangle”. Asian cheekbones are pronounced laterally but are flat in front. Vice versa – in Caucasians cheekbones are often more pronounced at the front, but quickly drop. They are almost absent in elderly. 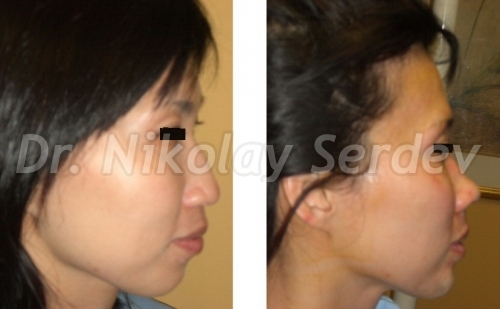 Bichat’s fat pad (Corpus adiposum buccae) is of great significance in facial and cheekbone contouring. Often, after our 30s, the fat pads lose connection to the zygomatic bone and droop in, creating the tear troughs. 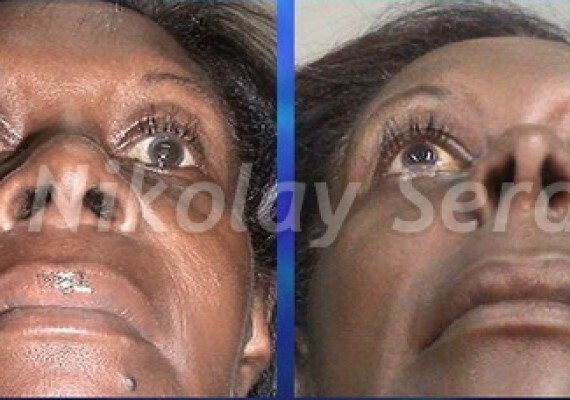 Moreover, they hang over the nasolabial folds, making the latter deeper and more visible. This is why lifting the cheekbones back in their place is more aesthetic than filling the deep folds, which makes the face look obese and round. 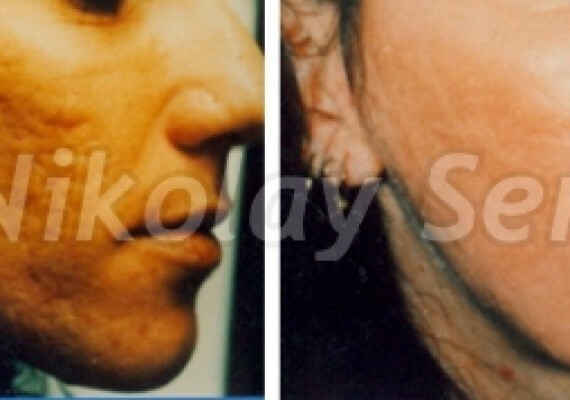 The Serdev Suture cheekbone lift without scars and without implants can easily restore the “Beauty Triangle”. 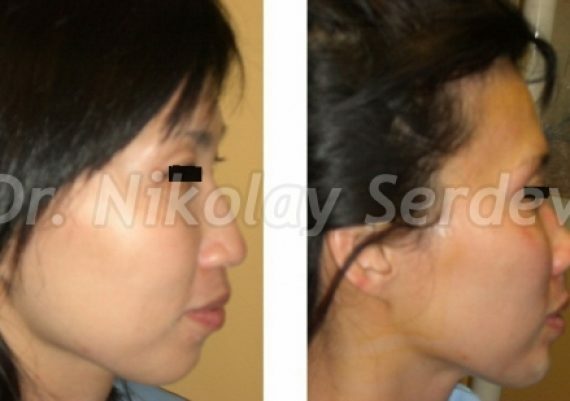 « Chin Lift Without Implants. Enhancement and Form Correction via Serdev Suture®. Fat transfer (lipotransfer, fat grafting) means replenishing the contour of face and body, as... Read more! Acne is a skin condition that is caused by inflammation in the skin, affecting 9% of world's... Read more! Microdermabrasion is a method for treating wrinkles and scars, large pores, acne, and age spots... Read more!